I love almost everything about this era. I love its president. I love its political roller coaster we’ve been riding. I love its TV shows like Last Man ), and finally I love its technology. Which is precisely why I was fascinated by the advent of these new 3D printed guns. For those who are blissfully unaware of this incredible innovation, it is essentially an open source code which people download enabling them to print gun parts on a milling machine or 3D printer. The organization responsible for bringing this into the world is Cody Wilson’s Defense Distributed (https://defdist.org/). However this is not an earth shattering new type of firearm, but an entirely avant-garde production method. Nonetheless the gun control lobby, and other anti-liberty organizations want this convergent idea to be nothing more than a bad memory. Due to the relatively cheap plastic materials, and it’s DIY nature 3D guns could be a solution to many issues such as America’s bloated defense budget. However due to some unexplained myopia many lawmakers, and government officials are viewing this as a public safety threat. Exemplifying this is New Jersey AG, Gurbir S. Grewal, who says Defense Distributed "threatens the public safety of New Jersey's residents....Posting this material online is no different than driving to New Jersey and handing out hard-copy files on any street corner." Obviously Mr. Grewal is guilty of engaging in hyperbole, because even though plastic is cheaper than steel, the machines required to produce these weapons are very expensive. 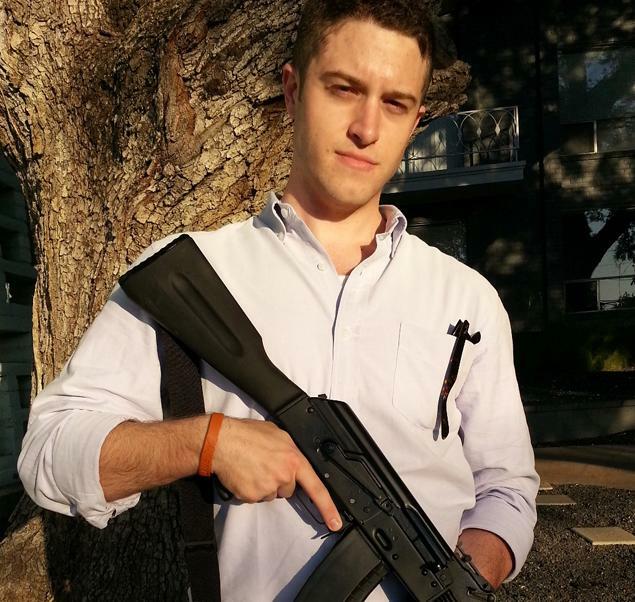 In fact the machines are so expensive founder Cody Wilson doesn’t even independently own the printers needed to create his company’s products. Grewal’s statement, no matter how illogical, is an echo of federal government’s facile claim that Wilson is congruent to an arms trafficker, which is yet another example of the quite frequent sociopathic projection of the state i.e. Operation Fast and Furious. Mind you this is taking place in a country with a First and Second Amendment. Mr. Wilsons code or CAD design is simply an expression of free speech, and is only used in the production of legal goods. So calling Defense Distributed an illegal arms trafficking organization is like calling a recipe book a bakery. In the sense that DEFCAD merely supplies formula and blue prints. Fortunately they were victorious in the ensuing federal lawsuit, and will hopefully continue to do so in state controversies such as New Jersey. Moreover, it has always been legal to manufacture firearms in your own home, which Defense Distributed isn’t even engaged in. They also manufacture lower receivers and standard capacity magazines just as countless companies preceding them have, in addition to their primary mission which is extending the means of production through the free flow of information to the individual. Differentiating DEFCAD from it’s seemingly endless pool of competition is only one variable, the manufacturing process, which makes firearms cheaper and thus more readily available to the citizen. Funny, in an acute bout of schizophrenia I seem to remember some significance between a well regulated militia and the security of a free State. 1 denoting software for which the original source code is made freely available and may be redistributed and modified. 2 An operation in which the ATF knowingly sold firearms to the cartel in hopes of tracing them to crimes. This backfired resulting in many criminal acts and murders including that of United States Border Patrol Agent Brian Terry. 3 Under terms of the settlement, the government has agreed to waive its prior restraint against the plaintiffs, allowing them to freely publish the 3-D files and other information at issue. Is CW in prison now? Cody Wilson ended up hunted down & getting screwed from all directions.